I'm in the process of writing an Open Source Word based reporting tool. It requires me to have Word 2007 hosted inside IE. I have two problems: 1. 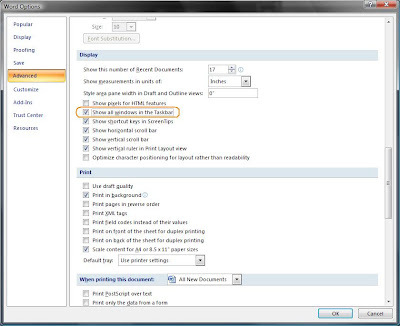 The standard default Word 2007 SDI behavior opens a blank Word Window (without any documents) 2. The MDI behavior is stranger [Uncheck Show All Windows in the Taskbar] Here's a flash movie I made demonstrating the issue. You can see how Word 2007 is giving me grief! Oh, of course, this behavior may be by design.